Global design visionary Kelly Wearstler is highly sought-after for her distinctive and soulful approach to residential living. Her signature style juxtaposes raw and refined, celebrates color, and seamlessly blends diverse periods of furniture into an unexpected whole. Wearstler has revolutionized the look, feel and meaning of modern American design. Named to Architectural Digest’s preeminent Top 100 Architecture & Interior Design list, Wearstler’s work and profiles have been featured in Vogue, Elle Decor, Architectural Digest, Harper’s Bazaar, Elle, Conde Nast Traveler, Vanity Fair, The Wall Street Journal and The New York Times. 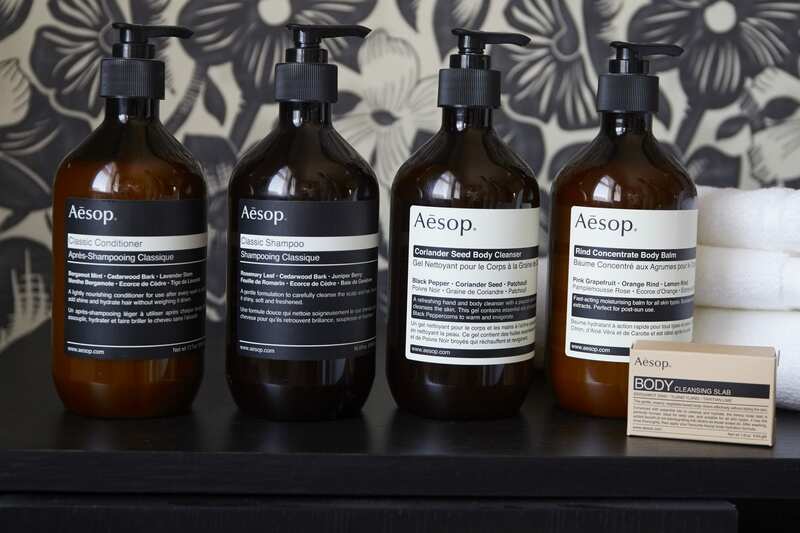 Aesop was established in Melbourne in 1987. Their objective has always been to formulate skin, hair and body care products of the finest quality; They investigate widely to source plant-based and laboratory-made ingredients, and use only those with a proven record of safety and efficacy. In each of their unique stores, informed consultants are pleased to introduce their range and to guide customers’ selections. They also explore and support the arts as an avenue through which to inspire, learn and communicate.